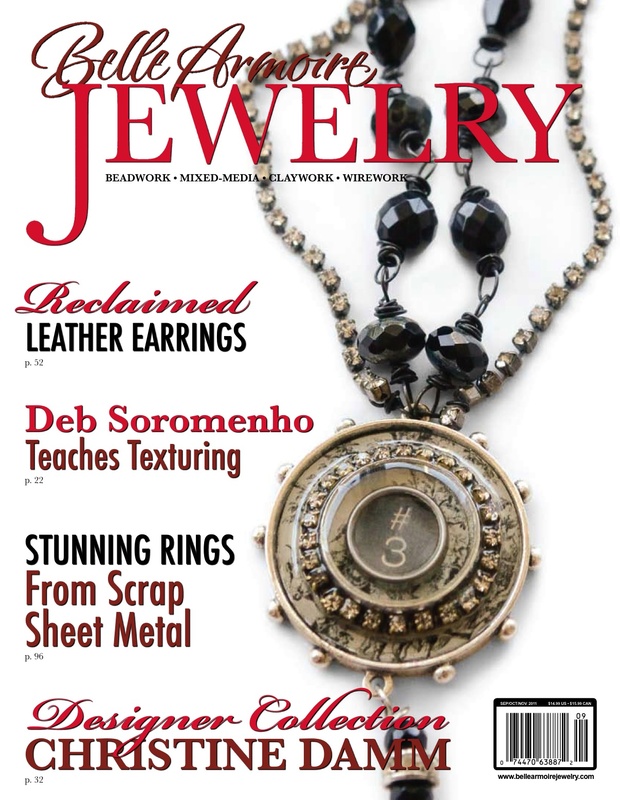 I am published in this months Belle Amoire Jewelry magazine 3 Times, separate articles for my metal smithing jewelry! 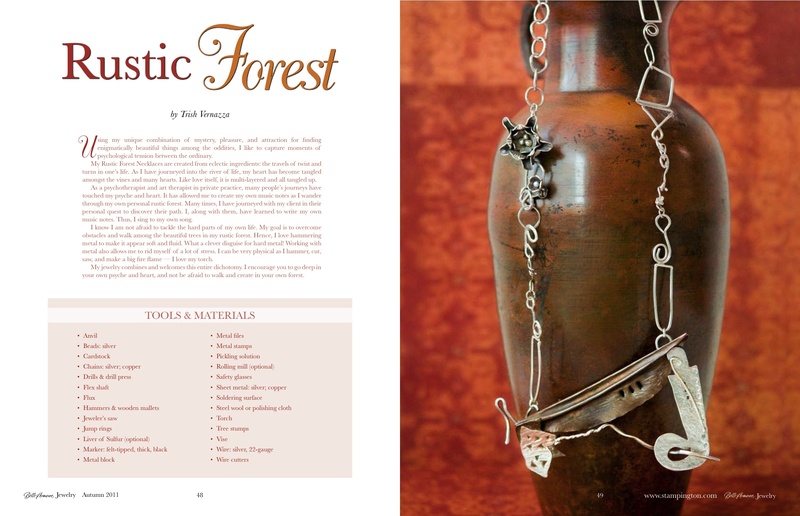 Rustic Forest Necklaces, page 48-51, The World, page 86 -87 and Forest Tears Earrings page 113. 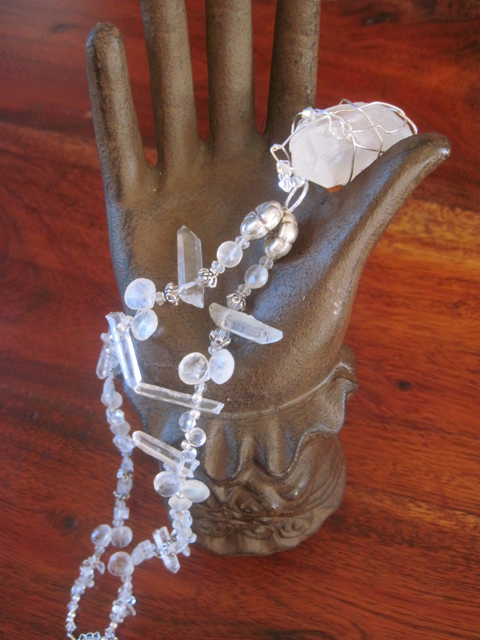 White Crystal Ice Quartz fell from the Sky: TRUE STORY! True Story….Really, this is a TRUE STORY . I am walking my white Jindo Dog, Evie Marie Antoinette, back from our local flippy flop area, come around the corner to enter my street, the sun is glaring as I am slightly blinded this crystal. Thinking it was a piece of glass, I reached down to remove out of our path and gasped when I saw it was this large crystal. I picked it up and held it close to me. Later I took it to my Tarot Reading Class, showed my friend Virginia, who told me to keep it close to my heart. 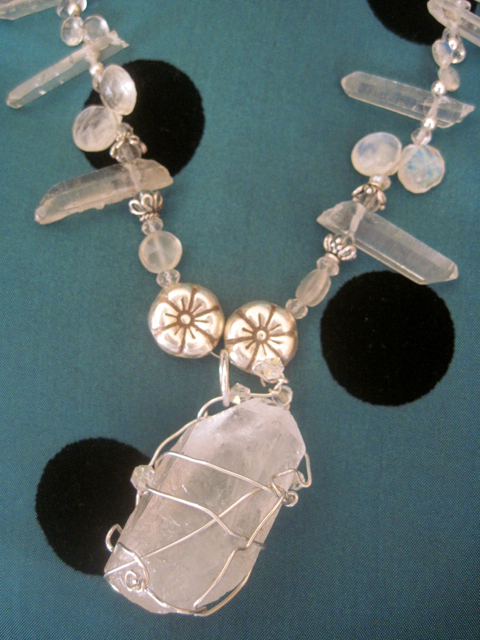 Known as “Ice of Enternity”, it is one of the most powerful crystals that contains feminine, or receptive energy. This is a “programmable” stone, meaning that one using it can charge it with a variety of types of energy. It can receive, store, activate, amplify and transmit energy. It is a great aid for meditation. In and of itself, however, it is a powerful all-around healer. It is also used to amplify the powers of other crystals, and is frequently found on the table of a Tarot reader, for example, to help one clarify his or her own psychic readings. It is especially useful in helping us to focus, concentrate and control our thoughts, intentions and actions. It stimulates brain functions, amplifying thought forms while at the same time helping to balance the emotions. 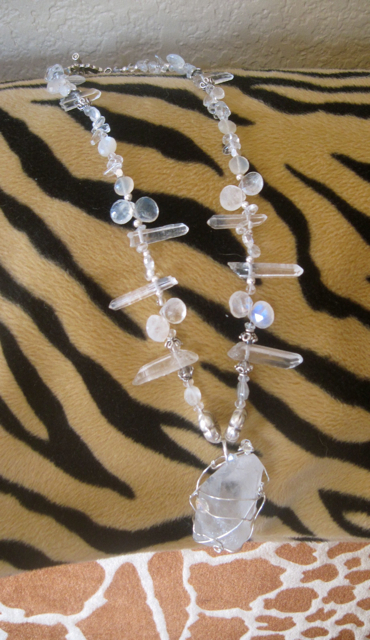 White Quartz activates the Crown Chakra, and helps to promote clarity of mind. It has an affinity with the Archangel Rafael, and aids in study and concentration. At the same time, this crystal has natural prismatic effects, and can split beams of white light into the seven basic colors of the rainbow, each of which relates to one of the Chakras, simultaneously activating all levels of consciousness. It aids in helping us to listen to our Higher Selves and our Spirit Guides. It also helps to dispel negativity, both in our environment and in our own personal energy fields. 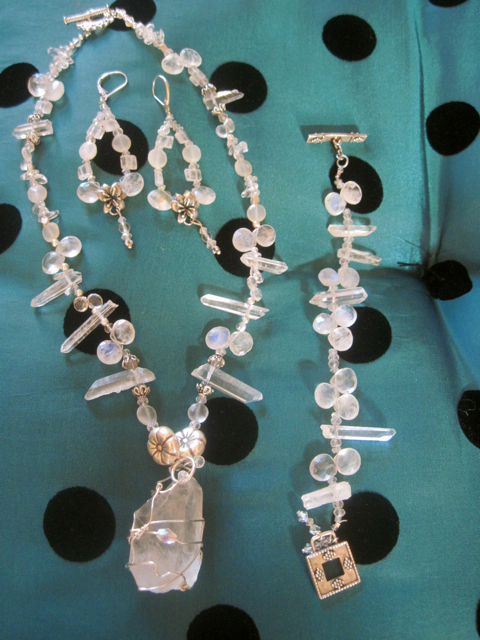 Here it is as I wire wrapped it, combined with with moonstones, created a complimentary earrings and bracelet! It makes me smile. 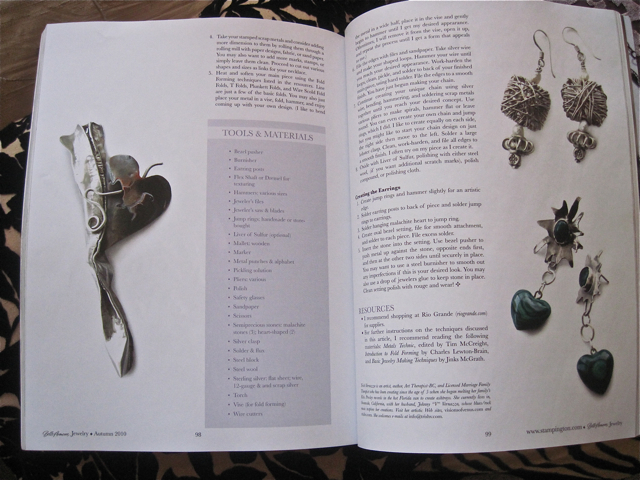 Visions of Strength Jewelry featured in Belle Armoire Magazine, Stampington Press. 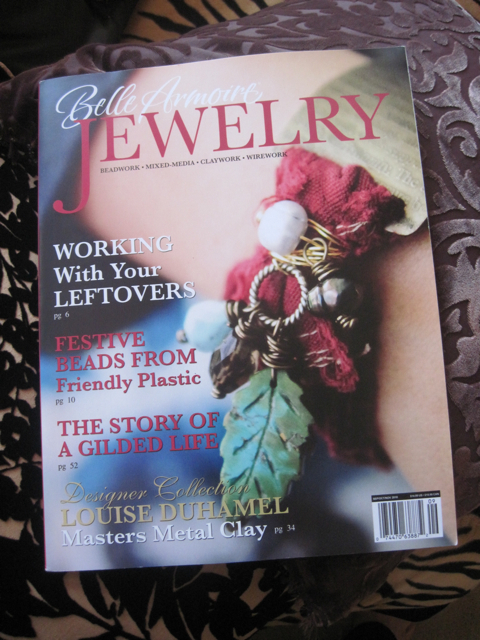 I Was Published in Belle Armoire Jewelry!! 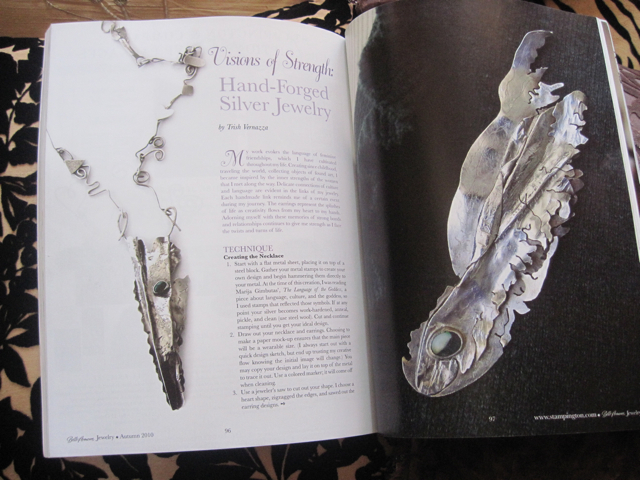 Exciting news: On sale now is Belle Amoire Magazine which features my Sterling Silver Art Work. My necklace was hand forged from sheet silver and silver wire creating the hand made chain links and the V shaped center piece. 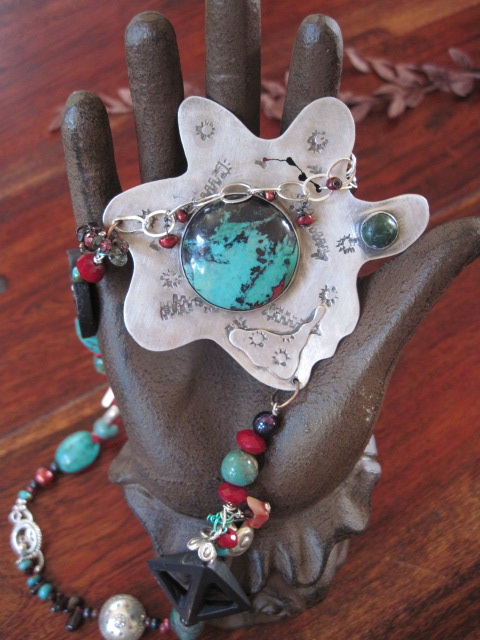 Malachite stone was set in the center. I have always been attracted the journey of the goddess and women. Thus I read Marija Gimbutas’, “The Language of the Goddess”, which inspired this piece. Note the language of this special piece. The Angel Pin has a opal stone, the Cooper Heart Pin is soldered to my style of fold forming and the malachite star earrings compliment the Visions of Strength necklace. 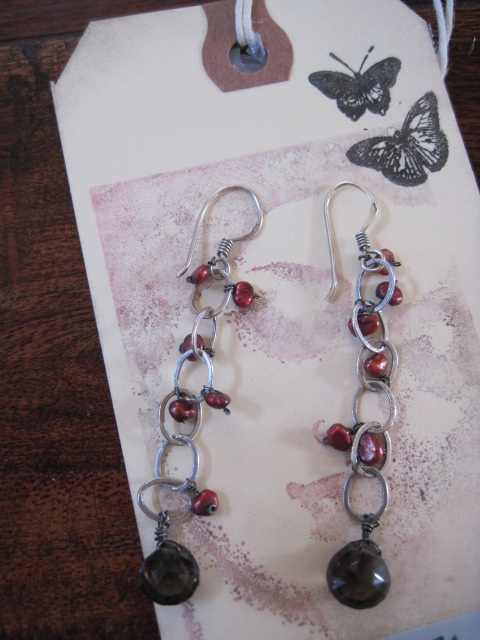 The silver earrings are crowned with a white cultured pearl. 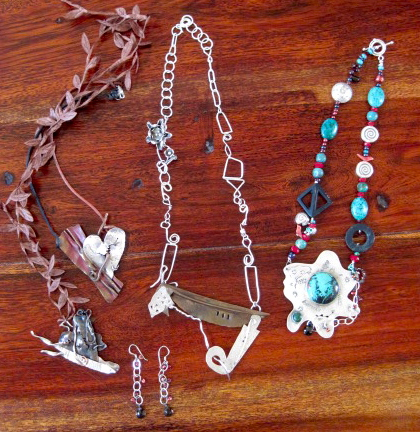 My step daughter, Jaime Vernazza Peterson is modeling Visions of Strength Necklace and Earrings. 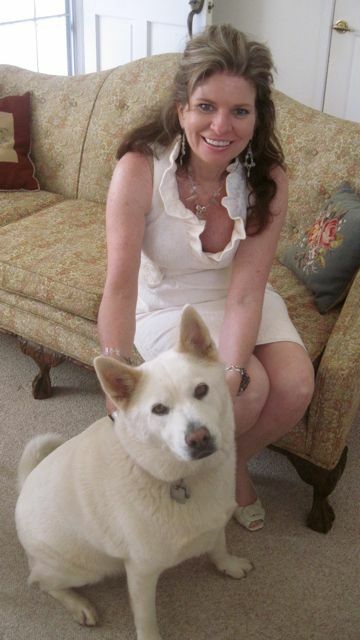 She is so beautiful and makes my necklace more special!